From Ganesh Purana - To fix the negatives in life. To become the boss. Also to resolve problems. the Ganesh Upanishad. Merge ourselves with the supreme Knowledge. There are several beej (seed) mantras in this mantra. Seek Ganesha’s blessing requesting His help to dissolve the ego. This helps realizing this world as a dream or a drama / illusion, part of the Advaitic philosophy. GET YOUR WISHES FULFILLED RIGHT HERE! 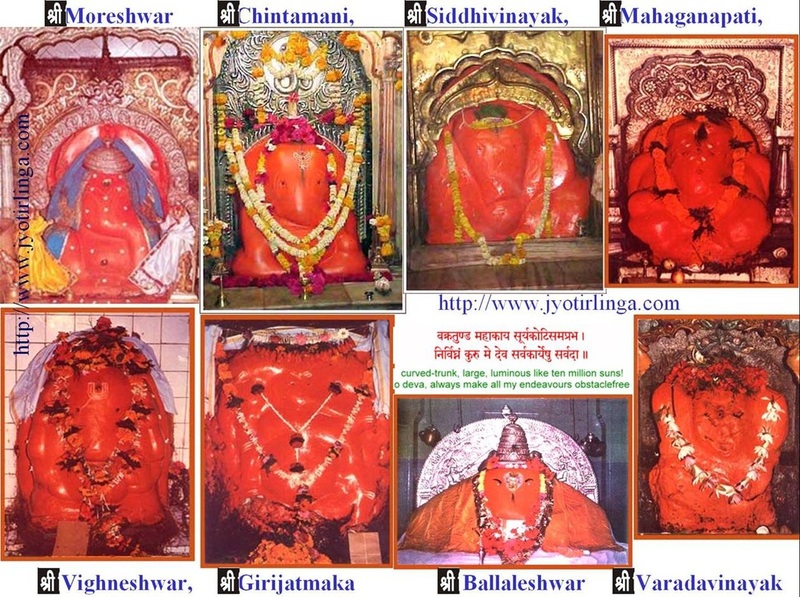 There are eight Ashtavinayaka spots for devotees of Bhagwan Ganesh. The incarnation lores of these Ganesha’s are quite ancient, so are the temples where they are sitting for darshn by Lord Ganesha’s devotees. Five Tuesdays (Pancha Mangalwar) is all you need to fulfill all your wishes. Pray to these Ashtavinayaka below and all your wishes will be fulfilled. 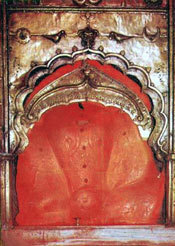 The idols of Ashtavinayaka are SVAYAMBHU (appeared on their own) and installed in the temples as they were found. Each idol is an incarnation of Lord Ganesha. Please search Google (http://www.google.com) to read up these stories based on the key word that describes the pictures below. These stories will tell you how they were found and their history. 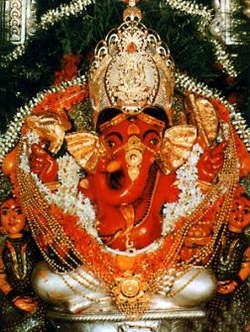 The mangalashtaka of Ashtavinayaka is sung on special holy occasions. The PURANAS mention this as the sequence of Ashtavinayaka pilgrimage: Morgaon,Theur,Siddhatek,Ranjangaon,Lenyadri,Ozar,Pali,Mahad and then back to Morgaon. The pilgrimage should ideally be finished back at Morgaon. 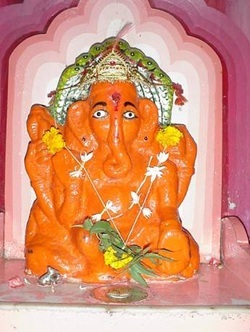 The Ashtavinayaka are all located in the state of Maharashtra in India.